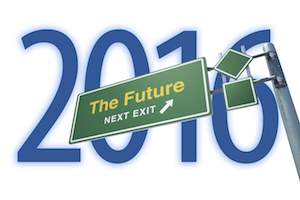 SEO Predictions for 2016 - Make Your New Year's Resolutions - InsideOut Solutions, Inc.
It’s out with the old and in with the new (year, that is). Search Engine Optimization (SEO) is always evolvingn, though much of its general principles remain the same from year to year. It’s time to look at recent changes and, from them, make our SEO predictions for 2016 so that you know what New Year’s resolutions you need to make to get the most out of your internet marketing efforts. Mobile search has been on a growth trend for many years and in recent months has seen a spike as more search engine users submit their queries via their phones. Just prior to this trend, Google let the world know that the time had come to offer a mobile version web content or risk loss of search visibility with its Google mobile-friendly algorithm and made a tool available for owners to test their websites. I expect the shift in Google’s focus to the mobile user experience to continue. Recently, Google Webmaster Trends Analyst John Mueller stated in a Webmaster Central Hangout that websites that are mobile-only (i.e., no dedicated desktop version) are not penalized in search engine ranking results. That may be so, but businesses with a visual marketing message also need to continue considering the desktop user, which is why we recommend responsive web design that will take care of the user experience regardless of device. Make sure all the content of your website looks its best no matter what device is used to view it. Make Your New Year’s Resolution: If you don’t currently have one, get a responsive website or, at the very least, a dedicated mobile version of your website. 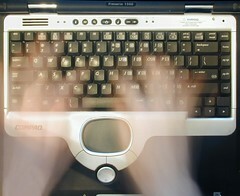 I recommend responsive web design for smaller businesses to make content management easier. If you do have a dedicated mobile version of your website (e.g. our Mobile Website Plugin for WordPress sites) you need to commit to maintaining mobile-specific content, including mobile-only specials and other content geared specifically to mobile device users. If you have a responsive website (as all our designs have been for the last two and half years) then resolve to publish content that will take advantage of that feature. Test your published content with the Google Mobile Friendly Testing Tool. Along with mobile-friendliness, Google has emphasized its requirement that websites load quickly to avoid rank penalties and offers the Google PageSpeed Insights testing tool. With the search engine’s increasing catering to mobile users, I expect website loading speed to become an even greater factor to SEO in the coming year. 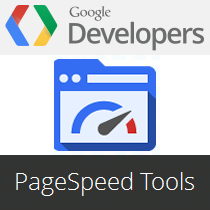 Review your website’s pages and recent posts with the Google PageSpeed Insights testing tool. Contact us to request a speed review on any remaining items. Local schema on your website (and other online listings for your business) will gain more SEO value. Make Your New Year’s Resolution: Take control of your local search visibility, either yourself or contact us to learn more about our local search optimization services. If anything, content is even more important now because the evolution of how search engines handle queries, such as the artificial intelligence of Google RankBrain, enables (and in some cases requires) content authors to get more specific in what they publish. General articles have less SEO value now because Google thinks it knows specifically what it’s users are asking with their queries. Make Your New Year’s Resolution: Make a commitment to continue to regularly publish quality content via your blog and landing pages that will be specific to what users look for with their queries. Contact us if you need help with content creation (blog posts and landing pages) for search engine and TCS digital marketing. Inbound links, once the king of building upon search rank for, has lost some of its value over the last few years, but it, along with social media signals, reviews, press coverage, and even minor mentions, continue to be a source of authority-building with search engines. Make Your New Year’s Resolution: Resolve to monitor and grow your off-site signals via link building, social media marketing, press releases and promoting and responding to online reviews. Contact us if you need help with your off-site efforts. I hope these SEO predictions for 2016 are helpful to you as you consider your businesses’ marketing strategy for the coming year.